The world’s first overwater bungalows may have originated in Bora Bora back in 1970, but they’ve been popping up all over the world ever since. 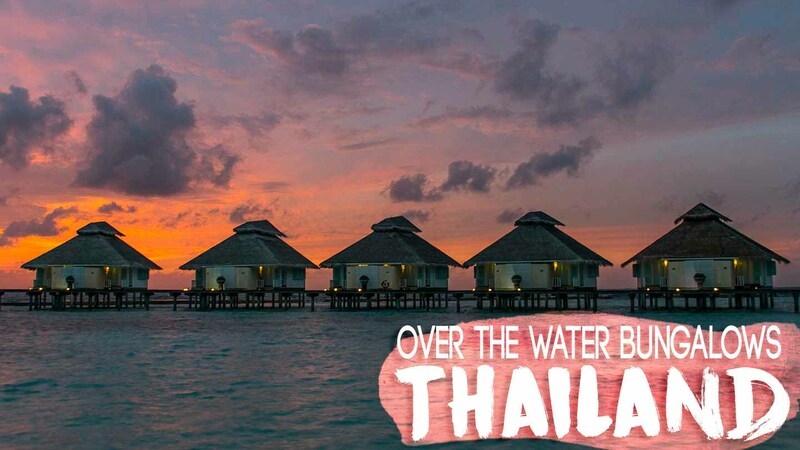 Thailand is no different, overwater bungalows in Thailand are now in 5 destinations across the country. The best part about staying in a floating hotel in Thailand is that this luxury is very affordable compared most other places in the world. Some amazing places for an epic Thailand honeymoon that won’t break the bank. In Thailand, you can stay over the water in your very own bungalow for less than $100 per night. Here are 5 overwater villas in Thailand to check out on your next Thai holiday. Head to Khao Sok Lake National Park and stay in a floating bungalow on Khao Sok Lake. Wake up on the lake looking out at the limestone mountain range and gorgeous sandstone rocks that rise 900-1800 feet above sea level. Khao Sok Lake National park is estimated to be home to over five percent of the world’s species, with the most famous being the Asian elephant. 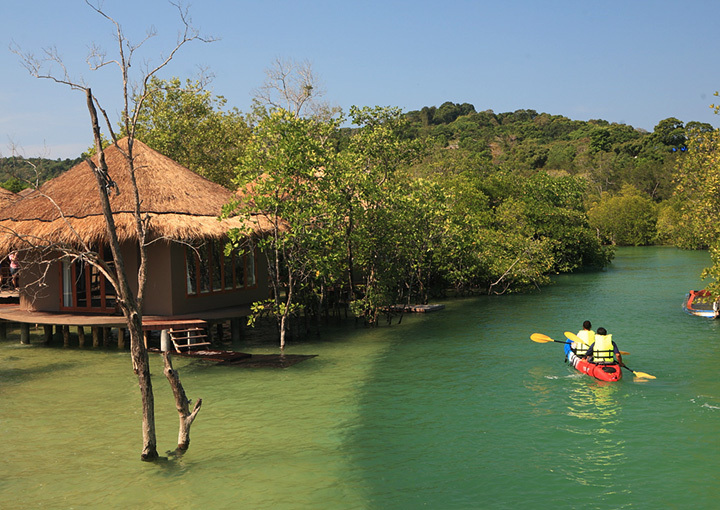 Khao Soak Lake park is the largest portion of relatively untouched & unspoiled jungle in all of southern Thailand. This piece of rainforest is said to be older and more diverse than even the Amazon rainforest. There are several Khao Sok floating bungalows, but 500 Rai Khao Sok Floating Resort and Panvaree Resort Khao Sok Lake are now on our bucket list. You might want to avoid May-November as this is one of the wettest regions in Thailand, the mountain range gets hit by the monsoon rains from both the Gulf of Thailand and the Andaman Sea. The nearest airport is Surat Thani, click here for the shuttle from Surat Thani to Khao Sok. 500 Rai Khao Sok Floating Resort also offers transport. You will have to take a boat from the pier to your specific floating resort. Another unique overwater bungalow Thailand experience is in Kanchanaburi on the River Kwai. There are several floating hotels in Kanchanaburi bookable online, but The Float House River Kwai offers boutique villas each with their own private pier and balcony with mountain views. Make sure to check out the Hellfire Pass trekking trail. The trail was part of the trail made by prisoners and walked while constructing the Death Railway during the Second World War. There are several waterfalls to chase as well like: Erawan waterfall, Saiyok Waterfalls, Saiyok Noi Waterfalls, and more. Kanchanaburi is only 3 hours away by shuttle bus from Bangkok, click here for the schedule. There are several floating hotels on the River Kwai so you’ll to arrange with them how to get there from Kanchanaburi. The Float House River Kwai has a few long tail from the Resotel Pier, confirm the boat schedule with them. Escape to a small Thai island barely known to most tourists. If you are island hopping in Thailand try and work in Koh Phayam. In the Andaman Sea lies Koh Phayam just south of Myanmar (possibly consider a Myanmar honeymoon), a part of Thailand that still feels raw. Koh Phayam may not be for everyone. There are no ATM’s on the island, no cars, and no worries. But if you ask us The Blue Sky Resort on Koh Phayam is the place we’ve been searching for. The resorts concept is “The Maldives in Thailand” and their overwater villas are situated on the sea and surrounded by a gorgeous forest. Travel to Koh Phayam from Ranong is only 45 minutes by speedboat, you can fly to Ranong from Bangkok or take a shuttle from Phuket.ferry to Koh Phayam from Ranong schedule and to book tickets, average price 350 baht. For a more local overwater bungalow head to the Mango House on Koh Lanta. They offer wooden pole houses located in an old Chinese fishing village often referred to as Lanta Old Town. Staying in Lanta Old Town you’ll get a good look at a traditional Thai village but yet you are only 15-minutes away from the main tourist beaches and hotspots. Koh Lanta is easily reached by ferry from several other Thai islands or by car from Krabi. Click here for the ferry to Koh Lanta schedule and to book tickets. Wake up literally sleeping on top of the Gulf of Thailand. There is one Koh Samui hotel with luxury overwater bungalows. The KC Resort & Over Water Villas, the villas are complete with a private infinity pool. Traveling to Koh Samui is an easy direct flight from Bangkok and several other Thailand destinations. The KC Resort & Over Water Villas are the most luxurious overwater bungalows available in Thailand and most comparable to that of the Maldives. Click here for the ferry to Koh Samui schedule and to book tickets. Staying in a hut over the water was a bucket list item for us and we were lucky to spend 5 weeks island hopping in the Maldives. The Maldives is home to two-thirds of all the overwater bungalows in the world, we only stayed in 3 Maldives resorts. Our personal favorite was Summer Island Maldives, there is something special about waking up on the water and looking out your window and being surrounded by water. Some of these overwater bungalows in Thailand may not be over the ocean but they still are a unique hotel and shouldn’t be overlooked. Staying in a floating villa on the River Kwai sounds like a peaceful vacation and place to relax for a few nights after 3 days in Bangkok or during 2 weeks in Thailand. A colorful longtail boat sways in the turquoise waters of Koh Lipe Thailand if we were to do it again our honeymoon would definitely be here! There are several Thai islands that don’t have overwater bungalows but still have amazing beachfront villas. 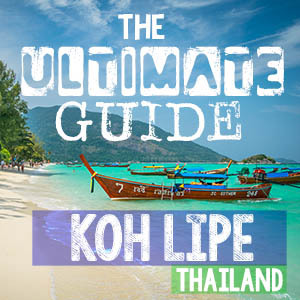 Our personal favorite is Koh Lipe which is nicknamed “The Maldives of Thailand”, a name it well deserved. Have you visited any of these overwater bungalow Thailand destinations? Where did you stay? Glad we could help! Happy planning! Is the water turquoise? Is it swimmable? Can you snorkel? All the waters will be swimmable, but depending on the location, not all will be turquoise, but some will. Awesome round up, Thailand has some of the best overwater bungalows! Thailand does have some great and unique overwater bungalows. We can’t wait to get back to Thailand and explore them all. These look incredible. I love how accessible places like this are becoming – before, this type of accommodation seemed to only be for the rich and famous! Definite honeymoon destination – Thailand is my favourite place anyway so a chance to stay in these would be immense! There are lots of interesting accommodation options in Thailand, and the best part is they are all pretty cheap for what you get! Thanks for this post. It since to see that you can get bungalows as such a great rates. What’s nicer is that you can escape the crowds Thailand are known for with the list of hotels you’ve put here. Thanks again! There are great escapes in Thailand to be found. Overwater bungalows can be affordable! Safe travels. These overwater bungalows look like a great place to stay. They remind me of the Maldives! We have stayed in several overwater bungalows in the Maldives but didn’t’ realize that there were overwater bungalows in Thailand. We def have to get back to Thailand. Strange, can you try again? They all work for us in the USA.